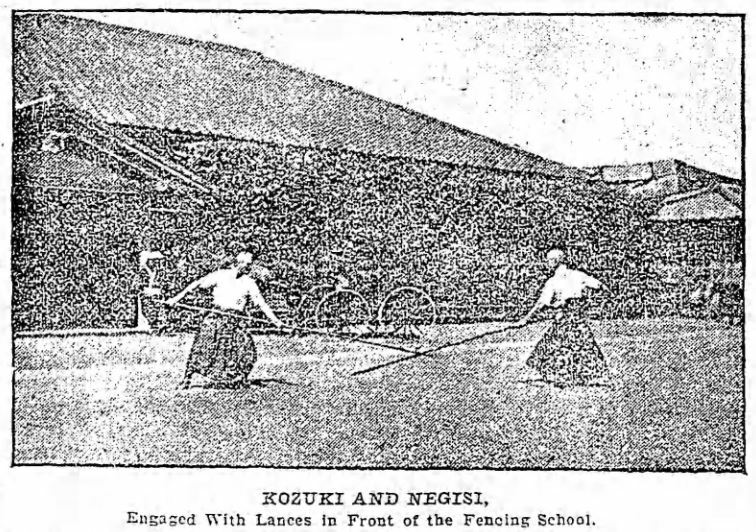 The following article, with accompanying photographs, appeared in the June 1, 1902, issue of the Brooklyn Daily Eagle, and gives a detailed firsthand description of the Japanese fencing school for the Imperial Palace Police. 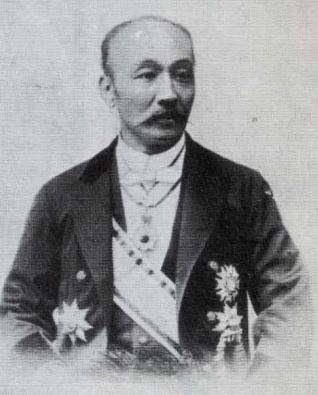 The author, Col. Andrew Haggard, had been invited to attend by Baron Yoshitane Sannomiya, Master of Ceremonies of the Imperial Household. 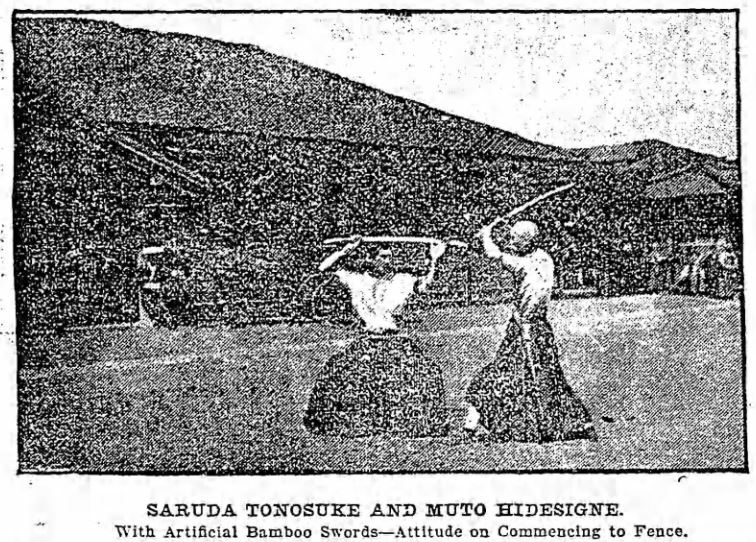 Combats with swords, often involving grappling, are described. Most notable, however, is the author’s account of a “distinctly medieval” spear fencing contest, in which a shorter weapon is pitted against a longer weapon.